It’s unclear as to what exactly the car of tomorrow is going to be like, but you can bet that every manufacturer out there has their own ideas as to what the car of the future should be, and deliver to the customer. However, one thing for certain is that race to deliver the car of future is on and Nissan is the latest automotive powerhouse to announce they’re revving up their investment in research and development. The Renault-Nissan alliance is the fourth largest auto manufacture in the world, with sales of just under 5 million vehicles in 2012. Earlier this year Nissan made a bold statement to become a leader in this field by opening a research lab in Silicon Valley, which plays home to around 60 Nissan engineers. Nissan’s CEO feels this new research lab is going to play a large role in driving the company forward and helping deliver market innovations that will give Nissan the edge. It’s an exciting time in the automotive world and Nissan’s future development is going be largely focused on the hybrid, electric and even a driverless Nissan range. The latest craze in the automotive world is the driverless car. Although not a new concept, the driverless car could be on our roads and commonplace by the end of the decade. Nissan believe that the electric range is going to play an important role in the breakthrough of these technologies. The electric range will be capturing data from every single electric car, every time they are used. They will be using this data to help create the driver-less car. However, the uptake in the Nissan electric range has been lower than expected and as of February this year only 50,000 Nissan Leafs had been sold. Many believe the reason for this is due to the charging infrastructure. Ghosn says” People who are interested in the electric range are hesitant largely because of the infrastructure”. With only 8,000 charging stations across the US (compared to the 130,000 conventional gas stations) there still seems a long way to go. The world of automobiles will change drastically over the next decade and Nissan is working as hard as possible to make sure their vehicles are using the latest technologies and that they position themselves as a market leader. The world of electric cars, driver-less cars and technology within cars is something that Nissan is looking to bet the house on. Memorial Day is here and many of you are probably enjoying a cold one and getting ready to begin some serious grilling with your family and friends. However, the day will come to an end and everyone will be hitting the roads to drive back home today so these easy to follow tips will at least save you a few dollars. While Spring gas prices are already trending higher then usual, these tips will be ever more important if we experience record highs for the 2013 summer. The hunt for less expensive gas is not, and does not, need to be difficult. Like most daily activities today, there are apps out there to help. GasBuddy.com started out as a website that let users report and view fuel prices in their area to help others find cheap gas locally. It now has an app for both iOS and Android devices. Gregg Laskoski, an analyst for GasBuddy, said the app can help drivers save money. This app will not only save you money, but it turns into a fun game as well as you earn points for entering gas prices in your local market. Depending how much you drive on annual basis, will clearly determine how much you save with the assistance of an application like GasBuddy, but figure that you will save anywhere between $250 to $300 for every 15,000 miles you drive. Aside from a helpful app like GasBuddy.com, here are 6 basic money-saving tips to help you determine where, and how, you fill up next. Whichever app or website you use to retrieve local gas prices, be sure to pay attention to the age of the information. For example., postings from 22 hours ago are probably not very reliable whereas information posted 3 hours ago is most likely on the money. The credit card you use at the gas station can be the critical difference between saving you money at the local pump or costing you more then you initial thought. Many stations will charge a surcharge unless [you] use their particular gas card. On the flip side, you can seek out and get a credit card that includes specific perks related to purchasing gasoline. For example, the Chase Freedom credit card can provide you with 5 percent rebate on gas. But to complicate matters, you better make sure that you are filling up at a gas station that does not have the up-charge when paying with your credit card since the uptick in cost will most likely wipe out your savings. To put simply, If you are paying with a credit card, you can sometimes be slapped with an extra fee at the pump so pay attention. Gasoline stations near the highway can be a win if there is more than one major truck or travel stop or a loss if there is only one station and it is small in size. Also, in areas like NJ, Sunoco has contracts with the Turnpike Authority to provide fuel services on the Turnpike and Garden State Parkway, but under the terms of the agreement, those specific gas stations may only change their prices weekly, prior to 7 am on Fridays. Truck stops are a good indicator to see if the price of gas will go up because they sell ample amounts of gas very quickly. Hence, truck stops are constantly receiving new loads of gasoline and that means that truck stop owners are paying the most-up-to-date prices for gasoline. You can use this tip in conjunction with the previous fuel saving tidbit to determine whether or not you should fill your vehicle up in NJ before or after the weekly price change. This is really just common sense since competition will typically keep prices lower. Filling up near state lines will save you money. States are more competitive because of any difference in taxes. For example, the combined tax in Illinois is nearly $0.61 per gallon, where Missouri is $0.36 per gallon. This holds a lot of weight if you travel the roads in the Northeast or the Mid-Atlantic since a typical road trip often involves crossing multiple state lines. Be sure to take a moment of silence to remember the brave service men and women who died while serving in the United States Armed Forces. Have fun cooking, attending parades, swimming in the ocean, camping in the mountains or just relaxing this Memorial Day and from everyone at Windsor Nissan, please drive safe…and save some money at the gas pumps!!! 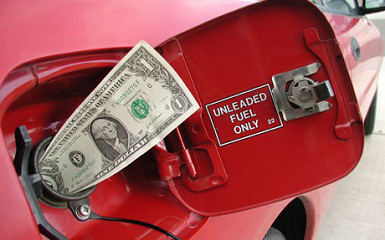 It is pretty simple when it comes down to it; find ways to maximize your MPG. Driving a car can be analogous to a video game. For example, you can drive from point A to point B exactly as stated by your Navigation or Google Maps just like you can play Zelda on Nintendo from beginning to end, but Google Maps and your vehicle do not tell that there are tons of ways to manipulate your car that will save you real money and time by earning an extra 50 miles on the road compared to your previous full tank of gas in your 2013 Nissan Rogue. Whether you are visiting family, heading to the beach or camping in the mountains, you are probably driving, as it is far more convenient then having to strip down at airport security and that is after paying United Airlines $25.00 for your bag. Considering 31.2 million people hit the roads on Memorial Day Weekend, US drivers will spend approximately $1.44 billion filling up at the pump. So, in an attempt to save you some of your hard earned wages and to make a small impact on our environments (come on….every bit helps), here are the Top 5 Fuel Saving Tips that will enhance the amount of miles you will achieve while driving per gallon of gasoline this Memorial Day Weekend (and obviously anytime that you are driving your vehicle). Most people are fairly lazy when it comes to this specific topic since vehicle navigation is becoming as standard as a CD player in new vehicles. Combine that with the prevalent use of smart phones and map applications and you fill find that most people simply get into their vehicle and then figure out how to get to their end point from the driver’s seat. Yet, since everyone relies on this method, the end result is having everyone on the same road at the same time in a gigantic traffic jam…..wasting fuel. If you plan ahead, you can avoid this nightmare and waste of expensive fuel. It might mean taking the road less-traveled, but it could result in a more pleasant, scenic route, free of traffic and even if it’s longer, in terms of actual miles driven, it might prove quicker. A moving car that spends less time on the road is more efficient than one stuck in traffic for hours. To start, make sure you tire is wearing evenly across the tread because if it is not, you may find yourself an unfortunate situation and/or with a much larger service bill the next time you visit your local Car Dealership. For example, if your tire tread is uneven, this might be a direct result of your vehicles alignment being off. Or, your tire could just be under-inflated (I know that sounds awkward), which is a quick fix you can accomplish by yourself at any gas station in a matter of minutes. This is an easy fix and it will pay huge dividends. Lower tire pressures can adversely affect wear and increase drag, reducing gas mileage. From a safety standpoint, low pressure tries are my susceptible to overheat at high speeds, and will increase the potential for blowouts. Tire pressure gauges are inexpensive, and a weekly check will ensure you are always at a safe, economical pressure. Tires don’t have to cause you much stress, and confirming that yours are always in tip-top shape will both improve safety, and save you money on gas. Do a few quick checks over your automobile. By checking that the engine has sufficient oil, confirming all the lights work, and cleaning your vehicle before your departure are easy and inexpensive to do and increase the fuel efficiency of your ride. Although you’ll likely be loading the car up with people and luggage, do a check around to make sure your car isn’t full of junk or unnecessary paraphernalia, like mine is, because it all adds weight, and weight is the enemy of efficient driving. Set off earlier and travel during off hours. No, really. New Yorkers know not to head to the Jersey Shore, Southampton, or the Catskills Friday night. If you have any control over your schedule, take an extra day off or travel at night. After dark, it will be cooler in the car, less taxing on your engine and you will burn less fuel. Big rigs also take a break in the evening, so fewer trucks on the highway will give you peace of mind over your precious cargo…your loved ones and/or friends. Otherwise, avoid city centers and major interstate exchanges during rush hour or the hours right after lunch. Finally, you will be able to drive slower (saving fuel) without the anxiety of sitting in traffic. Now we’re onto specific driving techniques. First, treat all the car’s controls with some respect so use smooth, measured inputs. Not only will it make things more pleasant for your passengers, but accelerating, braking and steering smoothly will mean less engine, brake and tire wear, which increases your vehicles fuel efficiency. That is not to say you need to travel everywhere at a snail’s pace either. It’s better to accelerate briskly, but be sure to change gears earlier. In addition, reach your economical cruising speed sooner. Hence do not draw out your acceleration. The more time you spend in the process of accelerating, the less time you will spend at low revs in top gear, where the best economy can be had. I hope these tips help you save a few bucks this weekend and whenever you decide to go on your next road trip. Happy Driving This Memorial Day from everyone at Windsor Nissan!!!! Whats new for this Summer? Rated to get 27 mpg in combined driving and provide 526 miles of driving range, while retaining 7-passenger seating and 3,500-pound towing capacity, the new 2014 Nissan Pathfinder Hybrid is just like a standard Nissan Pathfinder, except under its hood. To create the 2014 Pathfinder Hybrid, Nissan eliminated the 3.5-liter V-6 engine and installed a supercharged, 2.5-liter 4-cylinder engine paired with a 15-kW electric motor, compact Lithium-ion battery, regenerative braking system, and a Nissan Intelligent Dual Clutch System that manages the powertrain and serves as a generator to capture kinetic energy from deceleration and recharge the battery. Combined, the Pathfinder Hybrid’s powertrain generates 250 horsepower and 243 lb.-ft. of torque, comparing favorably to the standard V-6 engine’s 260 horsepower and 240 lb.-ft. of torque. Pathfinder Hybrid fuel-economy estimates, according to Nissan, are 25 mpg in the city, 27 mpg on the highway, and 26 mpg in combined driving. City drivers are likely to derive the greatest benefit from Pathfinder Hybrid ownership; the standard V-6 is EPA-rated to get 20 mpg city/26 mpg highway for a combined rating of 22 mpg. The 2014 Nissan Pathfinder Hybrid looks like other Pathfinder models, except for its standard LED taillights and PureDrive Hybrid badges. Inside, the Pathfinder Hybrid has unique information screens for the Advanced Drive-Assist Display. The Lithium-ion battery is installed underneath the third-row seat to ensure that this 3-row crossover SUV retains all of the passenger- and cargo-carrying flexibility of the standard Pathfinder. At this exact moment, thousands of parents are thinking about hitting the highway for a family road trip this summer. Destination? Anywhere but here. It’s an exciting prospect for kids, but it’s also fraught with difficulties, including sudden back-seat fights and frequent retreats to the iPod Zone. Kids think road trips are cool, at least in theory. The mere suggestion that the family might be heading out on a week long odyssey usually ignites serious excitement. As soon as the wheels roll, of course, the anticipation instantly morphs into “Are we there yet?” The challenge parents face is to keep the excitement and sense of wonder alive, even on the long, potentially boring stretches. Here are 12 tips gleaned from my own childhood memories and from conversations with parents, children and grown-up kids with road-tripping pasts. Dredge up some family lore. Think of your road trip as a time to share some “family lore.” Every family has its own oral history, and road trips offer lots of together time, making them ideal occasions for storytelling. Dredge up those old favorite songs and games, too. As a child, I was an impatient traveler, and I am sure my folks find it amusing that I now make my living writing about the “magic” of taking road trips, but much of my enthusiasm for the road comes from those early family jaunts. Not only do I love the driving and the scenery, I can also sing dozens of vintage songs, play every car game known to man, and tell all the old stories passed down through generations of my family. I’m sure I whined, “Are we there yet?” often enough to drive my parents nuts, but those aren’t the memories that linger. Brush up on your history and geology. Another gift you can give your children is a basic appreciation for the history and geology of the areas you travel through. Even if they grumble, squirm and roll their eyes, they’ll listen. I’m not the only one who can attest to the lifelong value of such discussions, including the sense of personal patriotic pride that arises from actually seeing purple mountains majesty, fruited plains and spacious skies. As an adult, I’ve became aware of just how precious this brand of knowledge is, and I now consider those family road trips some of the best education I received during my first 16 years on the planet. Get low-tech. Which leads me to my next topic: DVD players, iPods and other electronic gadgets Call me a curmudgeon, but if these devices are used too often on a road trip, you might as well stay home. Nothing insulates people from their surroundings better than ear buds and a video screen. Take electronic gear along if you must, but limit its use if you want to create lasting road trip memories. Hold a family planning session. Get a big map and plenty of highlighter markers, and then talk about the cool places that would appeal to all members of the trip. Gather information about your route from guidebooks and the Web. Discuss the scope of each traveling day, including how much time in the saddle and how much spent sightseeing and hanging out by the pool. Consider making each child responsible for a one day’s stopping places and restaurants. Including everyone in the planning process invests everyone in the trip and helps ensure a fun adventure for all. One of the most important topics to cover in the planning session is how often the kids will be able to rotate into the front seat. Make the right front seat, the “official navigator’s seat” and whoever is sitting there is designated as being “in charge” (at least for a few moments). The real treat is that it is much easier to see from the front seat and gets everyone involved. Of course, very young children should not be in the front seats because of the inherent air-bag dangers. Make a trip clipboard. I recommend creating a trip clipboard to hold printed directions to the motels where you plan to stay; these are especially handy if you should reach a city after dark. (I use this technique myself on every road trip.) You can also include directions and information about specific sites and restaurants that you’re planning to see. Check out your vehicle. Make sure your vehicle is reliable and ready to go. Of special importance is a check of the tires, coolant and engine oil. Pack a “Go Kit.” Include bottles of water, a fire extinguisher, beach towels, personal pillows, maps and atlases. And here are some more suggestions. Pack a “Car Kit” for each child. Choose age-appropriate items including crayons or markers, pads of paper, bandanas, personal travel pillows, games, small toys, a few treats and the first day’s “travel allowance.” Travel allowances allow kids to shop in gift stores and tourist traps without begging for money at every stop. Maps of your route are also good for children old enough to read them. They can trace their progress, learn to navigate and even stop asking “Are we there yet?” quite as often. Put everything in a bag or other container that the child can also use to hold souvenirs, interesting “finds,” and so on; nylon lunch bags or small daypacks work well. Let the children know that they’ll be getting their Car Kits the day you leave home. That will give them one more thing to look forward to, and you won’t have any trouble at all getting them out of bed. You can add to the Car Kits as the trip progresses, giving the kids a little something to look forward to each morning. Pack electronic devices. Consider a CB radio, portable DVD player, GPS receiver, audio books and inverters. Electronic entertainment devices can be helpful if you’re stuck in a traffic jam or you’ve exhausted all other options. Audio books are a great way to be entertained and yet remain alert and focused on the tasks of driving. Many companies now offer rental GPS units, which are both useful navigational tools and a source of information about road conditions. Portable CB radios with magnetic mounts allow you to be in touch with other drivers on the road and to get accurate weather reports. Pack good eats. Though the kids may argue this point, it is not necessary to stop at every fast-food joint along the way. In fact, it is possible to get good nutrition on the road. Make sure everyone drinks twice as much water as they might at home. Take a good cooler along and eat plenty of fresh fruits and vegetables. Prepare road trip snacks and consider packing a road trip picnic. Eat and greet. Eat in unusual local restaurants at least sometimes, and make a point of speaking with locals or other travelers. Keep it fun! Avoid vacationing at the same hectic pace as you live at home. A relaxing pace will be remembered more fondly than an overly ambitious one. Take the advice of a local or get off the highway at an unplanned exit and see what is to be found “around the next bend.” Drive fewer hours and spend more time lounging around the motel pool. By allowing time for serendipity, you will re-capture the wonder of the road trip adventure. 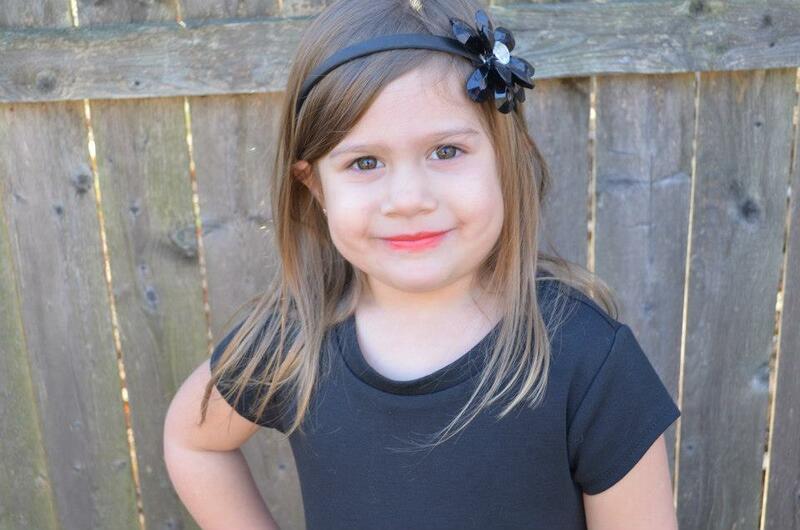 Got toddlers? Roadtrippers who are younger than five years old can sometimes present additional challenges. Consider organizing the traveling day so that you reach the motel after 8:00 pm, when the children are likely to fall asleep more easily. Pool time can be done in the morning. Spend the extra $$ to get as comfortable a car seat as possible. Plan to stop every two hours and let the little guys run, play, and blow off as much energy as possible. For more ideas, MomsMinivan.com has several good tips and suggestions. As parents, you can design a family road trip that will give both you and your children memories to last a lifetime. Grab those markers and a map and start planning your escape! 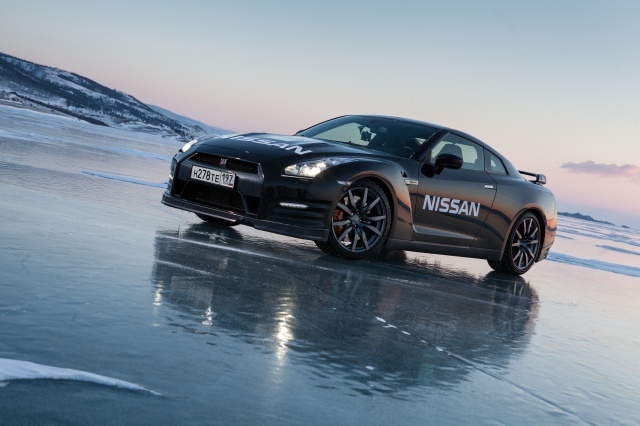 SIBERIA, Russia – Russian race driver Roman Rusinov and auto journalist Andrey Leontjev pushed the Nissan GT-R across a frozen Lake Baikal, setting a new national speed ice driving record of 294.8 kph (183 mph). The speed record on ice was a joint project of Nissan in Russia and LAV Productions company, taking place at Small Sea Strait – part of the Baikal water area between western coast and Ol’khon isle. The Nissan GT-R 2012 model year used winter non-studded Bridgestone tires. The length of the track was divided into an acceleration part – 3.5 km, timekeeping part – 1 km, and breaking area – 3.5 km. The driving attempts were fixed and evaluated by a specially-created committee of the Russian Automotive Federation, and also a group of four judges from Yaroslavl, Omsk, Yekaterinburg and Moscow. The car starts from standing position and develops maximum speed on the distance of 1000 meters (1 km). RAF fixes average speed on this route. The 540-horsepower GT-R production car had no modifications, running the 3.8-liter, V6 engine on the frozen surface of the world’s deepest lake in southern Siberia, with a result for the history books. Enjoy this video of their record ice escapade. 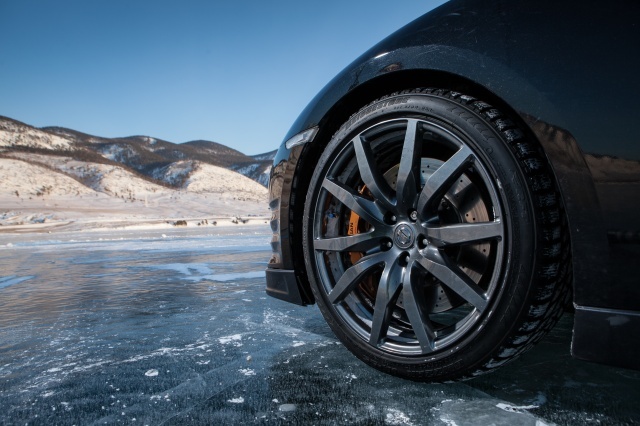 For more photos of the Nissan GT-R on Lake Baikal, check out our photo gallery. Take a look at some of the behind-the-scene production shots here. With the unseasonably warm weather we are having this week in New Jersey, my mind got me thinking about Summer. Summer being my favorite season, and the fact it is my daughter’s name! The summer months also bring in happy customers to Windsor Nissan who get unbelievable deals! The sun is shining, the beaches are crowded and the bodies are tanned, which can only mean one thing — Summer 2013 will arrive in the very near future!. To celebrate the return of our favorite season, we’ve scoured the Billboard chart archives and updated this definitive list of the most popular songs about summer ever recorded. Do you agree these are the top rated Summer songs? As is often the case, the Beach Boys pay homage to their favorite sport in their 1962 pop hit “Surfin’ Safari,” with lines about loading up their Woodie — that’s a ‘board-friendly station wagon for you gremmies — and inviting the world to the best beaches for waves. With a catchy beat and great harmonies, the song reaffirmed surf tunes’ appeal, residing on the Hot 100 for 17 weeks. Perhaps one of the most widely covered tunes, “Summertime” epitomizes the season’s lighthearted ethos. Billy Stewart’s 1966 crossover rendition, which is embellished with jazzy horns, bluesy guitar, and funky, scatting vocals, peaked at No. 10 on the Hot 100. The rap-n-surf-guitar track came complete with a skit-y video featuring the ultimate boys of summer, the Beach Boys and the Fat Boys, the ultimate ’80s hip-hop boys of dinner, throwing hula hoops and surfboards into the car for a sojourn to the beach. Not that anyone really needed to see either the Fat Boys in board shorts or the Beach Boys scrachin’ on the turntables. Wipeout, indeed. For summer days when you’re feeling down, Bananarama’s “Cruel Summer” is the companion who understands your discontent. The somewhat downbeat dance-pop track, which cozied up to the Hot 100 in 1983, bemoans the harsh heat of loneliness that can make any summer a drag. Eddie Cochran knows how much it sucked to be a teenager, even back in 1958. His slightly rebellious hit “raised a holler” about just how much of a bummer it is to have to work all summer instead of frolicking with your girl and your friends. The tune, appropriately featured in the 1980 film “Caddyshack,” may claim there’s no cure for the summertime blues, but we’d guess it sure beats sitting in school. Capturing the sweet sadness of saying farewell to summer love, Chad & Jeremy employ delicate, simple vocals over chugging drums and rich acoustic guitar plucks. In this tune, which entered the Hot 100 in 1964, the folk rock duo reminds the listener that there are always the memories to keep you warm in the fall. For those with any nostalgia for the decade of Pac-Man and leg warmers, The Motels’ “Suddenly Last Summer,” which peaked on the Hot 100 in 1983, will satisfy any craving for ’80s summer music. Over a catchy drum beat and spacey guitar, the emotionally distraught Martha Davis explains in a hot, dusty voice that though the seasons change, that doesn’t mean the summer has to end. The Beach Boys’ name alone should conjure images of summer, with the Cali group’s many carefree songs about surfing, cars, and girls. Peaking on the Hot 100 at No. 7 in 1963, “Surfer Girl,” a romantic ballad channeling the likes of ’50s doo wop, is no exception, with vocal harmonies that will make you yearn for a summer fling with whom to sway along. When it peaked on the Billboard charts in 1972, “Summer Breeze” focused on a sense of simplicity and clarity in a time of Vietnam war and big cultural shifts. With its soothing combination of soft guitar, banjo, vocal harmony and toy piano, as well as its reflective lyrics, Seals & Crofts’s first hit single is a crucial component of any mellow summer soundtrack. With heavy eyeliner and a snarling, guitar-driven swagger, Alice Cooper took the sweet, innocent idea of the first day of summer break, and turned it into an emancipation proclamation for ditching class permanently. School, he growled, was not only out for summer, “School’s out forever!” The gritty tune peaked at No. 7 on the Hot 100 in 1972. Nat King Cole’s rhyme happy 1963 hit is an oldie but goodie in the truest sense of the phrase. Well into the rock era, it peaked at No. 6 on the Hot 100. Between the charm of Cole’s warm voice and the “soda and pretzels and beer” he sings about, it’s no wonder this tune is still familiar decades later. While many summer tunes are relaxed, breezy numbers, Justin Timberlake took his danceable 2007 “Summer Love” in a refreshingly poppy, electronic direction. Timberlake devotees and casual fans alike flocked to the song, giving it a No. 6 climax on the Hot 100. With brassy horns blowing like a cool breeze off Lake Michigan, Chicago’s “real celebration” of a hot July day in the park took sights and sounds like people laughing and a man selling ice cream all the way to No. 3 on the Hot 100 in 1972. “Can you dig it?” they sing. Yes, we can. The theme song to many a youthful turn of the millennium summer night, “Summer Girls” is the solid hit from the cheesy dreamboats of LFO. This 1999 lyrical masterpiece (“When I met you I said my name was Rich / You look like a girl from Abercrombie and Fitch,” anyone?) spent 17 weeks on the Billboard Hot 100 chart, peaking at No. 3. By the mid-’60s, the Beach Boys were the kings of surf music. In 1965, the west coast poster boys for the genre sent “California Girls,” a sunny paean to the merits of Cali ladies above all attractive women from anywhere else, all the way to No. 3 on the Hot 100. War’s 1976 soulful slow jam “Summer” earned its peaked at No. 7 on the Hot 100 with then up-to-the-minute lyrics about cruising around town “with all the window down / eight track playin’ all your favorite sounds.” Including bongos, apparently. Do they make bell-bottom shorts? The tune starts at 2:24 in the video. In the summer of 1964, the Drifters saw their dreamy tune about catching some shade and some steamy good times literally under the boardwalk at the beach spent lots of quality time on the Hot 100. The tune has become a summer staple covered by many, including Bruce Willis and the Tempations. The boys of Mungo Jerry handed the world the ultimate laid-back summer track when they released the vaguely tropical jam “In the Summertime” in 1970. The U.K. group’s only major U.S. hit, the tune also scored lots of chart love for Shaggy in the summer of 1995. His remake rose all the way to No. 3 on the Hot 100. “I can tell you my love for you will still be strong / after the boys of summer have gone,” croons Don Henley as he patiently awaits the departure of his estranged love’s summer flings so he can regain his ex’s affection. The 1984 top five hit, which ironically hit the charts during the holiday season, also scored Henley the Grammy award for Best Male Rock Vocal performance. Popular everywhere from bar mitzvahs to karaoke bars, “Summer Nights” is one of those great movie songs that appeal to everyone. Made famous by John Travolta and Olivia Newton Jones in the movie “Grease” in 1978, the legacy of Danny and Sandy’s summer fling lives on in the faux-’50s tune that warmed up to the top five at the height of the disco era. With a mellow, funky horns and bassline and soulful vocals, Sly & the Family Stone’s easy-going hit entered the Hot 100 the same month the group played the most iconic summer festival of all time, Woodstock. In the tune, each member expresses a line about what they love most about summer, however they all agree, “That’s when I had most of my fun… those summer days.” Particularly the summer days when you manage to be part of music history. Namechecking every popular surfing spot, The Beach Boys certainly did their research for summer jam “Surfin’ U.S.A.” They sang they’d be gone all summer, and hey, if they didn’t make it back before school starts, “tell the teacher we’re surfing.” The song, a reworking of the tune from Chuck Berry’s “Sweet Little Sixteen,” reached the top five of the Hot 100 in 1963. “This is the Fresh Prince’s new definition of summer madness,” rapped Will Smith before he was an international movie star back in 1991 when he was still the rapping cohort of DJ Jazzy Jeff and a newly-minted sitcom actor. Smith was giving props to their sample of Kool & the Gang’s “Summer Madness,” and that hook helped the duo earn a No. 4 peak on the Hot 100. “Endless Summer Nights” finds Richard Marx waxing hopeful about a summer fling he wants to develop into more, despite his girl’s resistance. This ballad must’ve done the trick, because he later married the woman he was on vacation with when he was inspired to write the song. “Endless Summer Nights” reached No. 2 on the Billboard charts in 1988. “We’re goin’ to Surf City / ’cause its two to one” sing Jan and Dean of the girl-to-guy ratio that awaits them in some tasty beachside locale – that is, if their ’30 Ford Wagon doesn’t break down along the way. The surf rock track rode the airwaves to No. 1 on the Billboard charts in 1963. Decades before Yoplait turned it into the soundtrack to a commercial about achieving your summer perfect beach body, in 1960 Bryan Hyland hit with this ode to one girl so shy about showing her daring two-piece swimsuit at the beach that she sat wrapped up in a blanket and then hid in the water until she turned blue. Summer anthems are often defined by the sing-a-long factor. Aside from the manic laugh and shriek of the song’s title at the beginning, The Surfaris’ “Wipeout” is the exception to the rule, with almost 3 minutes of surf-guitar instrumental magic and one of the most memorable drum beats of all time. “All around, people lookin’ half dead… But at night, it’s a different world,” sings John Sebastian of the Lovin’ Spoonful, contrasting a New York summer’s day with the vibrant nightlife of rooftops cats out looking for kitties he much prefers. “Summer in the City,” complete with honking cabs and jackhammers, scored the band a No. 1 hit on the Hot 100 in 1966. With an unabashedly synthy beat and breathy vocals about a “warm, wet and wild” place and the women you find there, how could Katy Perry’s perfectly timed hit — with a smooth assist from Snoop Dogg, not have been the top song of summer 2010? In fact the song was so huge, it leapt from No. 18 when we first published this chart in May 2010 to No. 1 just one year later, beating out over 50 years of other hot summer songs. The ranking is based on actual performance on the weekly Billboard Hot 100. Songs are ranked based on an inverse point system, with weeks at No. 1 earning the greatest value and weeks at No. 100 earning the least. Prior to the Hot 100’s implementation in 1991 of enhanced radio and sales information from Nielsen BDS and Nielsen SoundScan, songs had shorter reigns at No. 1 and shorter chart lives. To ensure equitable representation, earlier time frames were each weighted to account for the difference between turnover rates from those decades and the turnover rates that have occurred since the advent of Nielsen Music data. If you live near Windsor Nissan, where the summer months get hot, you’ll want to take a few things into consideration regarding your car, truck or SUV. It’s important to remember that hot weather can be tough on mechanical components. For example, your cooling system has to work harder to keep the engine from overheating, tires have to perform under hotter conditions, and if you have a breakdown, you should be prepared to subsist in hot weather until some form of assistance arrives, or you’re able to repair the vehicle yourself. While there are many similarities between getting your vehicle ready for summer and getting it ready for winter, a couple of differences do exist. These are covered below in the following numerated subjects and corresponding photos. Let’s take a look. 1. Remove snow tires. While snow tires work great in the winter, they’re not much good in the summer months when there’s no snow on the ground. Plus, you’ll wear them out much faster by using them on dry pavement. It’s a good idea to have two sets of wheels: one mounted with snow tires and one with summer or all-season tires. You can even swap the wheels yourself since you won’t have to go to a tire shop to have one set of tires removed and another set remounted on one set of wheels, which could run $40 to $50 each time you do it. 2. Check the tire pressure. Tire pressure is important at all times. It’s critical to have properly inflated tires, as this assures the best possible contact between the tire and the road. Read your owner’s manual to find the correct tire pressures, and, if necessary, adjust pressures to compensate for the hotter operating conditions — especially if you’re doing lots of high-speed driving on a summer-vacation road trip. Properly inflated tires will also last longer and improve gas mileage. Because of summertime’s higher temperatures, the air pressure in a warm tire rises. Why? Because air is a gas, and gas expands when it heats up. Keep this in mind if you are checking tire pressures. The given tire pressure specifications are for when the tires are cold, therefore the pressure should be checked when the tires are cold. Also, an improperly inflated tire can heat excessively, potentially leading to a blow-out on the highway. 3. Change the engine oil and adjust the viscosity grade. This isn’t as hard as it sounds. Viscosity refers to the thickness of the oil. For example, maple syrup has a higher viscosity than water. Engine oils are sold with different levels of viscosity, and many of them are also multi-viscous, which means the oil’s thickness can change depending on its temperature. Generally speaking, the warmer the oil is, the thinner it will be. If the oil is too thin, the engine might not get the proper lubrication. To solve this summertime issue, you can change your vehicle’s engine oil to one that is a little thicker. Even when the thicker oil is cold, it is still not too thick for proper engine lubrication. Determining what type of oil your car should have during the summer is easy. Simply read your vehicle’s owner’s manual. The manual will list the manufacturer’s oil recommendations for different climates. If you have a dealership or local garage perform the oil change, you can ask the manager what type and viscosity of oil they are putting into your vehicle. Most modern cars have recommended oil grades of 5W-30, 10W-30 or 10W-40 which are all multi-viscous grades. 4. Inspect the belts and hoses. The belts and hoses in modern cars last a long time. But that doesn’t mean they don’t have the potential to fail. Before summer begins, have the belts and hoses inspected on your vehicle. And if you’re not sure when they were last replaced, consider having them changed, especially before commencing a long road trip. 5. Inspect the wipers and wiper fluid. Visibility is always important and our experience tells us that summer storms can be quite severe in some parts of the country. The life expectancy of a wiper blade is one year. If your car’s blades are dried out and not making full contact with the windshield, replace them. Also check and fill your wiper fluid reservoir. A summertime thunderstorm isn’t the best time to run out of wiper fluid or to discover your blades aren’t performing properly. 6. Check the battery. A battery gives little warning before it goes dead. And it’ll likely do so when you least expect it. Hot weather can put additional strain on a battery similar to what is experienced in cold weather. If your vehicle battery is more than three years old, have it tested at a certified automotive repair facility. Also, make sure the posts and connections are free of corrosion. If you’re embarking on a long trip, consider replacing the battery if you don’t know how old it is. These days, batteries are not very expensive, and it’s cheap insurance when you’re out on the open road. We also recommend that you always carry jumper cables, as mentioned below in the emergency kit section. 7. Check coolant/antifreeze mixture. The ideal mixture of coolant and water inside your vehicle’s radiator is 50:50. If the mixture deviates from this norm, then hot-weather performance (and cold) can be compromised. If you were to put pure water in your vehicle’s radiator, it would boil at 212 degrees Fahrenheit. But if you combine the water with an equal amount of antifreeze, the new mixture boils at a much higher temperature. You can check the composition of a radiator’s mixture by using an antifreeze tester. You can find these at all auto parts stores, and they are inexpensive and easy to use. If the mixture’s balance is off, adjust it by adding either coolant or water. A flashlight, flares and a first-aid kit. Basic tools like wrenches, a ratchet and sockets, screwdrivers and pliers or Vise-Grips. Those of you who live in an area of the country where the winters are tough might store a car on a long-term basis to protect it from the elements. If you do that, you’ll want to think about a few things before pulling the car out of the garage and hitting the road. If you changed the oil before putting the car away, then you’ll be in good shape when it’s time to start it up after a long winter in storage. Before starting the car, though, check the oil level on the dipstick first. Recheck it once the car has been idling for a few minutes. If you have relatively easy access to the spark plugs, consider removing them and pouring two to three small drops of oil in the cylinders to prelube the cylinder walls before startup. This isn’t absolutely critical (we know that plug access on some vehicles is very difficult) but would certainly be helpful in prolonging engine life. In addition to engine oil, check all vital fluid levels. This includes the brake system’s master cylinder, the coolant level, the power-steering fluid and the transmission fluid if the vehicle has an automatic transmission. Gasoline stabilizer poured into the tank before the long-storage is begun is also a good idea. If this was done, you’ll be in good shape during startup after the term ends. If getting the vehicle started is a problem and you didn’t use any stabilizer, you might need to drain the old fuel and pour in new gas. Replacing the fuel filter might also be a solution to any problems related to getting the vehicle started after long-term storage. After parking the vehicle for storage, it’s a good idea to disconnect the battery. It’s also a good idea to remove it from the vehicle, too, if you can. Obviously, if you disconnected the battery, you’ll need to reconnect it before starting. As mentioned earlier, you’ll also want to check tire pressure before hitting the road after long-term storage. Finally, before moving the vehicle at all, thoroughly check underneath it to determine if there are any leaks that might need attention. Tending to this and the other basic concerns noted above will ensure that you’ll be set to go after your car has been stored for a long period of time. And as always, Windsor Nissan’s service department is always available to answer any questions you have regarding your vehicle. Best car deals come at the end of the Month…NOW! So Windsor Nissan wants to ask you…When did you buy your car? Or when do you plan on buying your next vehicle? Don’t do it on Tuesday. March 6 is the worst day of the month to purchase new wheels, according to TrueCar.com–a web service that forecasts car prices using dealership data. This Tuesday you’ll get only a 6 percent discount off a car’s sticker price, as reported on the site. The best deals on autos tend to come at the end of the month when dealers need to meet their quotas, according to the site. On February 25, for example, the average discount was 8.34 percent. After a year-long slump following the recession, auto sales have been picking up. February saw the highest auto sales in the past four years and higher gas prices drove more people to buy compact and midsize cars, the Associated Press reports. If you’re willing to wait it out for a deal, Edmunds. com reports that the end of December is the most cost-effective time to pick up new wheels, with discounts running between 8.5 and 9.5 percent off the manufacturer’s suggested retail price (MSRP). Besides the best and worst times in the month, there’s also a pattern among the days of the week. Weekend shoppers get better deals. Dealers perceive people who buy cars on Mondays and Tuesdays to be “need-based buyers,” and are therefore less open to haggling, TrueCar senior analyst Kristen Andersson told Moneyland. Other than days of the month and week, TrueCar.com notes that “vehicle availability, incentives, holiday shopping and economic conditions” can also determine car-buying discounts. Did you know 3 out of every 4 car seats are used incorrectly? According to safercar.gov, parents haven’t been doing enough to keep their kids safe on the road, which has resulted in vehicle crashes becoming one of the leading causes of death for children between 1 and 13 years old. In order to combat these sobering statistics, NHTSA provides an informative booklet aimed at getting parents prepared for life on the road with their children. Available online in PDF form here, the information equips parents with useful knowledge such as what features you should look for in buying a car, which types of car seats you should use and how to properly do so and child safety scores for nearly every vehicle available today. NHTSA advises that you should ensure that a car has the following safety features if it is on your shopping list. Each one serves a specific purpose in making sure accidents, both minor and major, don’t occur and, if they do, injury is minimized. – Automatic door locks: Auto door locks, which engage when a vehicle reaches a certain speed (usually 10 or 20 mph), can prevent accidental door openings in a moving vehicle and the can lower the risk of ejection in the event of a crash. – Push down/pull-up window switches: These minimize accidental window closure and prevent injury in the car. Older, rocker-type window can shut windows inadvertently if leaned on, trapping fingers and limbs. – Advanced frontal air bags: These new types of air bags can sense the presence of a child and will shut off in the event of a crash or mitigate their release to minimize harm. NHTSA advises that kids should always sit in the back, but in the event that the front seat is the only one available, these air bags will keep your child as safe as possible. – Side impact air bags: These air bags deploy during side impact crashes and when they do, they deploy very quickly. So while they can be helpful in preventing injury, they can also cause injury to smaller children. NHTSA says you shouldn’t allow your kids to lean against the area where these air bags are stored. – Anti-pinch/auto-reverse windows: These windows are designed to reverse direction if they’re closing and sense something is in the way, eliminating the risk of body parts getting pinched or trapped. – Trunk release levers: Most vehicles have this equipped. It allows someone to get out if they become trapped in the trunk. – Rearview cameras: These will likely become mandated by law in the near future, but until then, they’re an important safety option available on many cars or from aftermarket companies. They allow you to see a wide field of view while backing up. Given that three out of four car seats are being used incorrectly, according to NHTSA, the booklet focuses a good deal on getting that practice correct. From installation to daily use, car seats require proper attention and care in order to work correctly and safely. – Read the car seat manual and you vehicle’s owner’s manual. Every vehicle and car seat is different, so it’s very important that you familiarize yourself with their installation and use instructions before you do anything at all. – Place the car seat in the back seat. – Secure it very tightly to the vehicle. It shouldn’t move side-to-side or front-to-back more than 1 inch when pulled at the belt path. – If you have a forward-facing seat with a top tether trap, connect it to the tether anchor and tighten. It’s imperative that you do so, as it limits head movement in a crash. – If you have a rear-facing sear, make sure it’s installed at the correct recline angle. Most seats have angle indicators or adjustors that help you do so. – Make sure your child is fitting correctly in the car seat after you’ve done proper installation. To do so, ensure that the harness is properly placed (lying flat, not twisted), the harness is buckled and tightened and the chest clip is at armpit level. For more tips on child safety, head over to safercar.gov and get the full download. The site also has information on everything from combating distracted driving to driving in bad weather. Take some time out of your day and help make yourself a safer driver. You, your passengers and your fellow drivers will all benefit. If you should have any questions about installing a car seat in your Nissan, please call the service department at Windsor Nissan, and our friendly staff will be able to assist you.